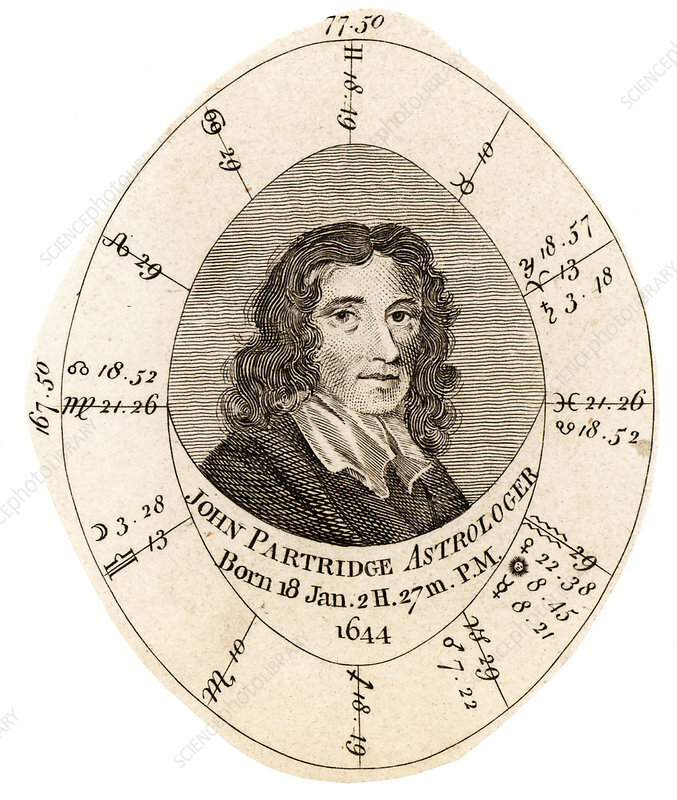 John Partridge (1644-1715) English astrologer and almanac maker. Birth chart or Nativity. Engraving c1800.